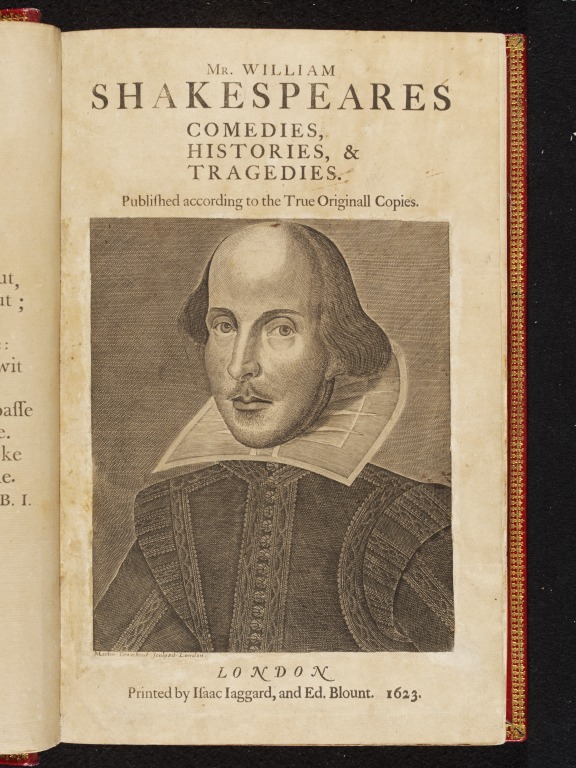 Book, Shakespeare's first folio, letterpress, ink on paper, printed by Isaac Jaggard and Edward Blount, London, 1623. Shakespeare's play Twelfth Night was performed for Elizabeth's court on Twelfth Night 1601, at the time of the Russian ambassador Mikulin's visit. It may have been the play's première. The first collected edition of Shakespeare's plays, this book was published seven years after his death. Without this precious edition, 18 of his plays would be entirely unknown. Shakespeare's play Twelfth Night was performed for Elizabeth's court on Twelfth Night 1601, at the time of the Russian ambassador Mikulin’s visit. It may have been the play’s première. 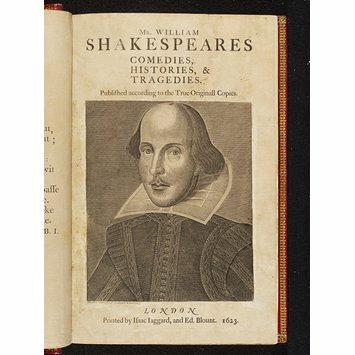 The first collected edition of Shakespeare's plays, this book was published seven years after his death. Without this precious edition, 18 of his plays would be entirely unknown.